Turck has developed a new block I/O generation with an extended operating temperature from -40 to +70 °C. The TBEN (Ethernet) and TBDP (Profibus DP) module series can thus also be used in climatic zones and applications in which virtually all other I/O modules would fail. 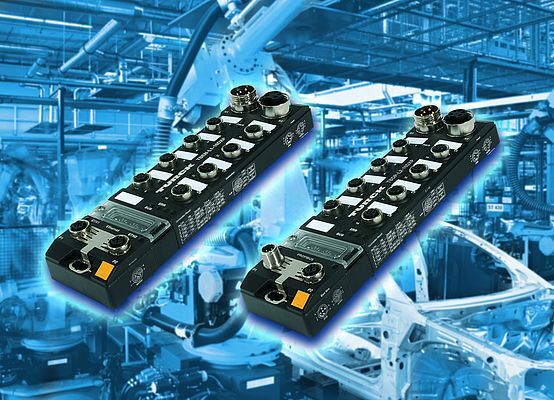 All modules of the new generation - including the version with programmable IO (16DXP) - separate the I/O channels consistently into the electrically isolated potential groups "switchable I/O" and "non-switchable I/O". This therefore enables the safety disconnection of individual plant sections via emergency-stop circuits, even if the flexible 16DXP-versions are used. Like their predecessors, the TBEN block I/Os are designed as multiprotocol devices that can be run in Profinet, Ethernet/IP and Modbus TCP networks thanks to their automatic protocol detection function. In Profinet and Ethernet/IP networks the modules also now support bus redundancy (MRP and DLR) as well as the fast startup (FSU and QC). The digital outputs of both device series have a switch output current of 2 A. This therefore reduces the stock-keeping of types with different output currents. All devices also support standard grounding concepts without any extensive modification required on the I/O module. The new RU-U ultrasonic sensor series enables the user to cover large sensing ranges with fewer sensor variants. The ultrasonic sensors in M18 and M30 housing styles thus effectively reduce the range of variants required for stock-keeping. This is made possible by the particularly short blind zones of the sensors, which offer large sensing ranges at the same time, for example with a 40 cm range the blind zone is only 2.5 cm. In order to offer the right sensor for every application with only a few sensor variants, Turck has increased the versatility of the individual models: Thus the simple compact version of the RU40 and RU100 modules enables the user to set diffuse mode and opposed mode operation as well as NC and NO switching outputs with a teach adapter. The standard sensor versions also enable the setting of switch windows and two separate switching points, either by a teach adapter or via a teach button directly on the sensor. The high-end versions can be operated as a switch or as an analog sensor. 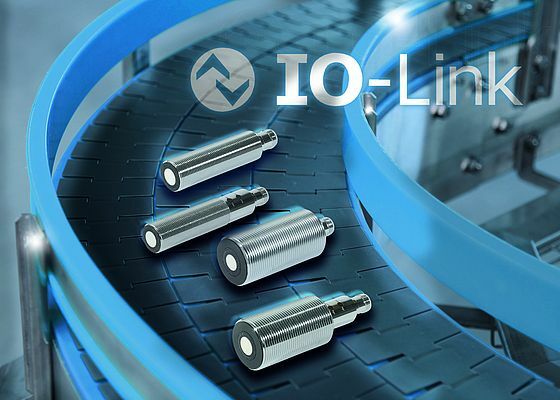 Different operating modes, temperature compensation or the output function can also be set via IO-Link. If several sensors are installed next to each other, the customer can set the sensor parameters in synchronization or multiplex mode, in order to prevent mutual interference of the sensors.